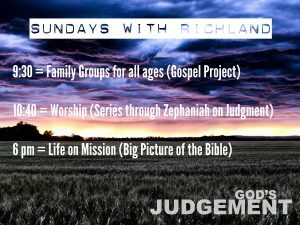 Please join us for worship (10:40 a.m.) this coming Sunday, July 9th, as Pastor Nick begins a new series through the book of Zephaniah on God’s Judgment. Do you understand God’s judgment? Are you ready? Do you realize the amazing promise in the midst of His judgment? We pray this 3-week series will be both challenging and encouraging. Going to miss any of these or other Sundays? You can listen to our sermons via our sermons page or via our free app. 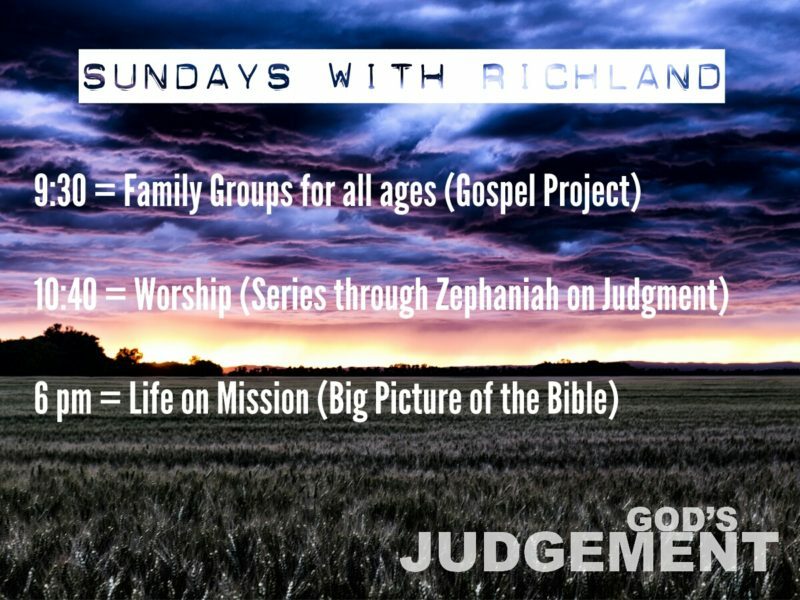 You can also keep up on social media through #RichlandZephaniah . If you have any questions about this sermon series, about our church, or about the salvation that is found in Jesus Christ, please let us know. Also, you can see our weekly schedule of services by clicking HERE.